There is an old watertower in Intiö. We’re trying to make something out of it. Something good. Read the blog about the crazy process of buying and renovating a water tower. Our vision is what makes the difference between an old building and an awesome place. Take a look at what we’re hoping the tower can become. Got interested in participating the process? Do you have something to contribute? Do you have any good ideas or expertise? Are you interested in lending a hand? Or do you just want to say something? Contact the keeper! 1st floor consists of a fireproof vestibule which connects to an escape route staircase. After the vestibule you’ll enter the impressive high cathedral space. Second floor of the tower holds the small Cafe. High space above the seating area creates an impressive space. On your way to the top, in mid-air there’s platforms for enjoying your brew high above the floor. Old water reservoir will be converted to small multipurpose amphitheatre for various small events. Underside of the cupola will hold supporting spaces for the sauna, like the locker rooms, toilets and kiuas-room. This floor is also the highest point accessible with elevator. There’s also a small apartment located in this floor. Old cupola is going to be replaced with steel framed glass-cupola. This new standout feature will hold the public sauna and lobby where people can access the balcony. There’s also a small loft space for the apartment. 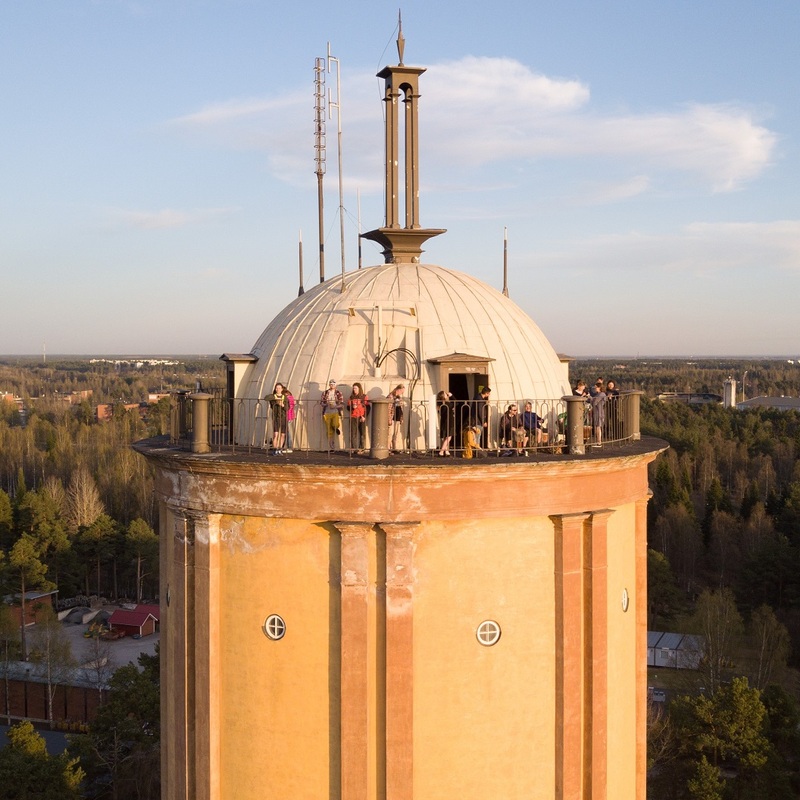 Highest peak of the tower holds a large palju for that rather spectacular 360° view around Oulu. Click on the eye symbols to learn more about the ideas around the tower. This is our vision of the tower. We’re working on refining these plans. We want to open the tower to the public. We want to create a vibrant cultural center instead of a drab office building. We believe Oulu needs a place to meet, to have events, to attract tourists, to have a sauna with friends and strangers. Have a beer or a coffee. Sit at the bar or on a hanging platform. Admire the art exhibitions on its walls. Enjoy the thrill of rappeling inside. Look at the city from a different perspective. Relax on a hot tub under the northern lights. Let’s make a place that we can all use and be proud of. The tower offers unique possibilities for construction. It is divided in three parts, each with its own charm and potential. The bottom is an open space with a central pillar and cement beams that criss-cross towards the walls. 26m high. It feels vast and majestic with a slight echo of old times. It reminds of an old cathedral with extra high ceilings. The water tank is a closed cement cylinder 8m high and 10m wide that used to hold 600.000L of water. Nowadays it’s (almost) empty. The cupola starts 40m above ground. The echo inside is quite something. 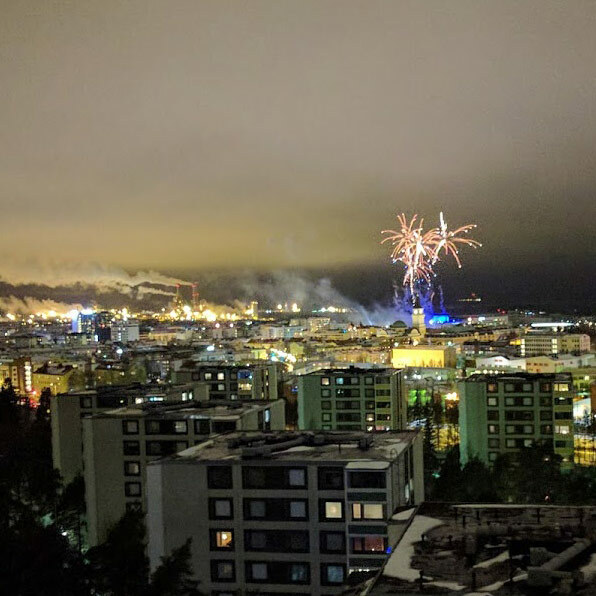 It has a 360° balcony that gives a fabulous view over all of Oulu. From here you can see what structures are above the horizon and thus taller than the tower: very few. Built in 1927 by the famous Finnish architect J.S. Sirén, the Intiö water tower is close to 90 years old. Its main function was that of a water tower. 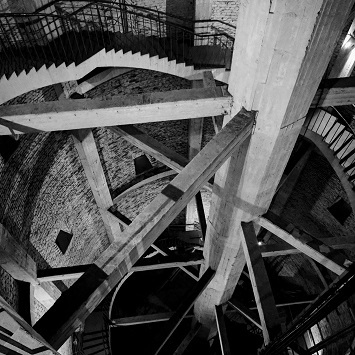 However, its beautiful facade, elaborate railings, and 360° balcony clearly show that the tower was also meant as a lookout tower and a landscape landmark. It worked as a water tower until 1969 when the Puolivälinkangas water tower began to operate. In times of war the tower was also used as an air surveillance spot by the army. In times of peace there was a kiosk at the bottom for snacks and a small fee to visit the balcony. The tower has seen tired soldiers, romantic dates, playful teenagers, and thoughtful visitors. Unfortunately, it was closed to the public a long time ago. The inside of it has been a mystery to most, even though its outside has been a constant fixture of the city’s landscape.